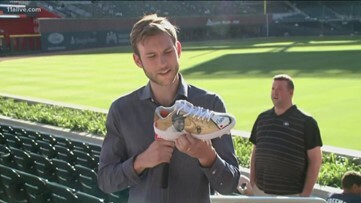 The Hall of Fame pitcher has always had a big hobby - golf. 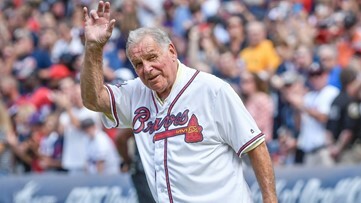 The Braves honored the legend at Tuesday's game. They will all wear the number 42. 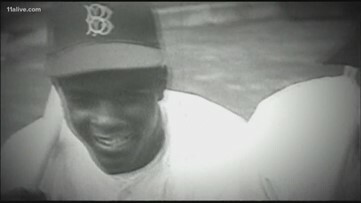 Robinson took the league by storm winning the Rookie of the Year. 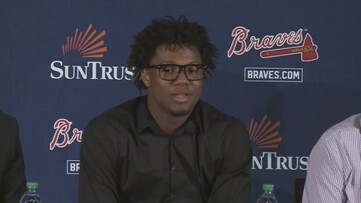 On Thursday, Albies signed a back-loaded, team-friendly contract that will merit a total outlay of $21 million for the 2023, 2024 and 2025 seasons. 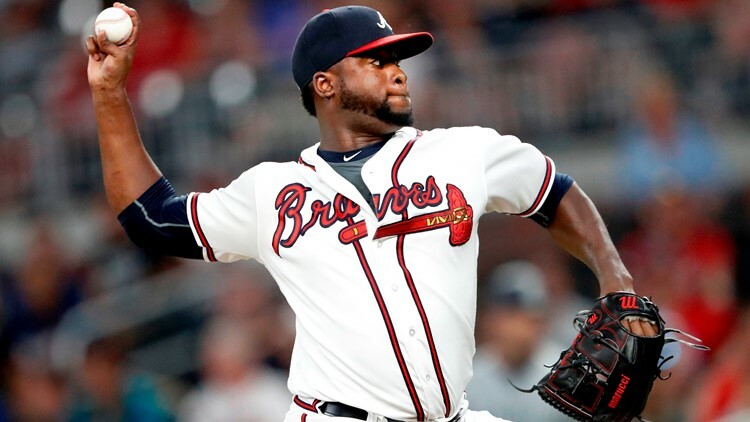 The Braves reportedly had a revenue collection of $344 million in 2018 – the ninth-largest intake among the MLB franchises. 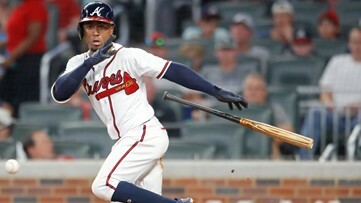 Albies' new contract covers eight seasons and reportedly includes a pair of club options for 2026 and 2027. 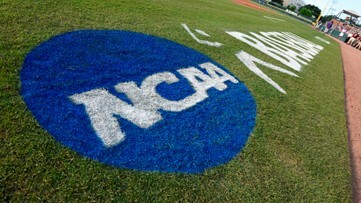 A "strike zone box" is a part of every pitch. 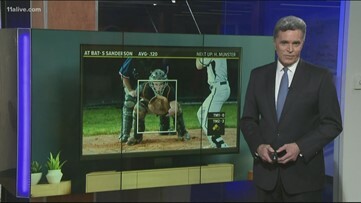 It's distracting and meaningless for viewers—the strike zone in MLB is cloaked in ambiguity from umpire to umpire, 11Alive's Jeff Hullinger explains. The get-well cards are stationed at three locales: The Bobby Cox statue, The Plaza portion of The Battery and Monument Garden. 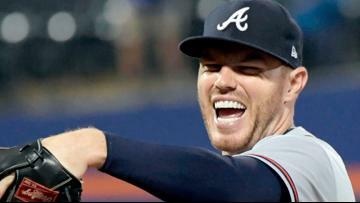 As of April 3, the Braves offense owns NL-only marks of 3rd in walks, 4th in OBP (.376) and 5th in OPS (.817) ... despite ranking just 13th in hits. 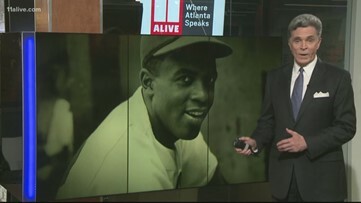 Cox, who suffered a stroke on Monday, managed the Braves during their dynastic period of 1991-2004 -- collecting 14 division titles and one World Series crown. 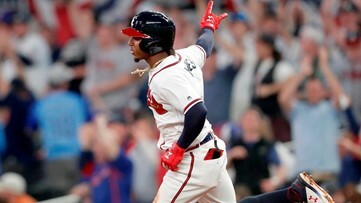 Ronald Acuna Jr., 21, eclipsed Mike Trout's 2014 record as the youngest player in MLB history to sign an extension of $100 million. 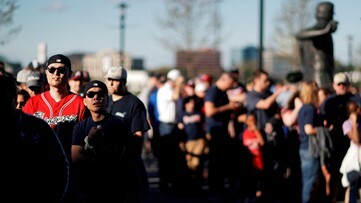 On Twitter, Braves' Opening Night customers railed against SunTrust Park's sluggish entry lines, long concession lines and problems with credit card purchases.